Without colors… it’s really up to you. Donatello? Michelangelo? Raphael? Leonardo? 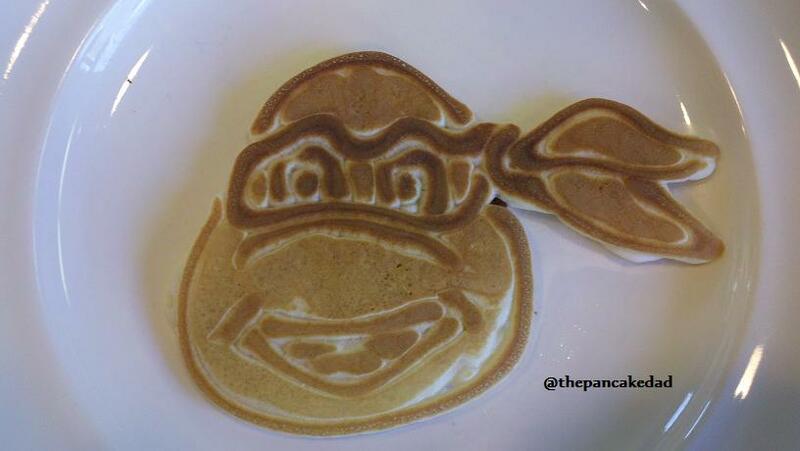 This entry was posted in Cartoon Pancakes and tagged cartoon pancakes, Donatello? Michelangelo? Raphael? Leonardo?, pancake art, TMNT pancake. Bookmark the permalink.